Showing results for tags 'Regents'. This study book contains nearly 1500 questions and answers from the last 20 Regents Physics exams through June 2015 broken up by topic. A terrific companion book to go with APlusPhysics: Your Guide to Regents Physics Essentials. Topics covered include: kinematics dynamics circular motion gravity momentum work and energy electrostatics circuits magnetism waves optics modern physics Problems are presented in workbook / worksheet format. This is a license for a digital download of the PDF version for use by one person only on up to five electronic devices. This document may not be printed, edited, re-distributed, re-sold, or licensed to any other user. Once the file has been downloaded no refunds will be given. Just to reaffirm -- this file is NOT printable. 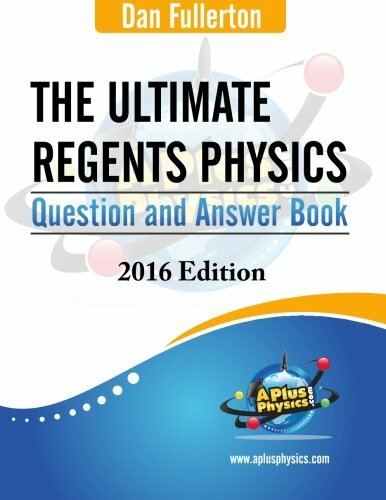 BOOKS: The Ultimate Regents Physics Question and Answer Book - 2016 ed. A brief worksheet reviewing order of magnitude in a fashion targeted toward answering NY Regents Physics Exam standardized questions. From Mike Powlin. File Name: WS: Order of Magnitude File Submitter: FizziksGuy File Submitted: 31 Aug 2013 File Category: Math Review A brief worksheet reviewing order of magnitude in a fashion targeted toward answering NY Regents Physics Exam standardized questions. From Mike Powlin.